A lot has happened in 10 weeks. A lot of reading has taken place in the 10 weeks in order to continue learning how to make this ILE the best it can be for all our learners. Readings like this and this confirm why we are innovating in a traditional setting. Readings like this justify why homework is not the be all and end all. It is a hard road trying to convince whanau that doing one or more of these 31 things would be just as beneficial (if not more) than a worksheet of maths problems or a list of spelling words! Reading #disobedientteaching by Welby Ings was a highlight – so much resonated in this book. Here is a Storify of my notes and here is his interview on The AM Show. Reading Richard Wells book A Learners Paradise also confirmed how good we have it in New Zealand and how we need to embrace this curriculum freedom and pass it on to our learners. We don’t have to do things the way they have always been done! We don’t have to compartmentalise our curriculum if we can find other ways. Anyway, back to the space! Cultivating a thinking culture with Growth Mindset attitudes suspended from a rafter of manaakitanga is our goal. These concepts are embedded in our Innovative Learning Environment and are touched on daily. Our learners shared their thinking on Our Learning Community here in this Flipgrid. This culture takes patience and time to embed but mid-way through our year, we are pretty happy with where things are at. Remembering always that these students have had to unlearn and relearn what it means to be in a classroom. The teaching and learning is different. As we are a 1:1 chromebooks a lot of learning took place around what this means for them and us in a large open space like this. We introduced the THINK acronym as a clear, easy way to remember what it takes to show digital citizenship. We are happy to report that most of our learners have shown they understand what it means to be a respectful digital citizen. We have implemented structures such as ‘playlists’ , ‘levels of agency’, and ‘Learning Tribes’ which are successfully scaffolding our learners in their journey towards becoming ‘free range’ as well as understanding what it means to collaborate on projects. From feedback the kids have shared, these structures are working and the kids understand what they are and why we have them. Rochelle and I are totally committed to making our space work for ALL learners. Building a culturally responsive pedagogy of relations takes purposeful effort and time. We have high expectations for all learners and we pride ourselves on creating a learning context where our Maori students can succeed as Maori. We encourage their voice, appreciate and celebrate their experiences and our pedagogy recognises the importance of AKO – that we are all teachers and learners together. Our space is a relationship centered environment. This blog post resonated with me as a mother of Maori kids and as a teacher. Important things to keep in mind along with this one. Although at different stages of our ILP journey (Rochelle right at the start and myself 4 years in) we both are committed to the on-going learning it requires as educators. We are also committed to the idea that things will be tough at times. Sharing the kaupapa with whanau and the community is critical. We have created a Google Site which we hope our community visits in order to learn about our space and the pedagogy which we use. Readings like this confirm the importance of what we are trying to do. We need to enable our learners to have the courage to make their own decisions, to stop the reliance on us for instructions, to have the mindset to know it is okay if something doesn’t work out or isn’t right – our aim is to provide the conditions for empowerment NOT to expect compliance. This wonderful blog post shares beautifully the kaupapa of our role as mentor, guide, or learning coach – allow our learners to create their own education with our guidance. I love this. Now to encourage our community that this is the way forward. I loved reading this blog post My Child is Falling Behind and I Couldn’t be Happier – it delightfully expresses the importance of the whole child and that it is not our learners who need to change but the standards. We know our learners are doing well. We know they love our space, they love the opportunities we provide them to find agency, and they love that they can direct some of their learning journey. We feel their empowerment. As educators, we have four amazing opportunities in the near future for us which we are extremely excited about. 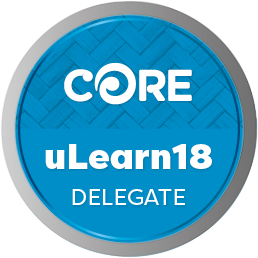 The four of us in our ILE are off to ULearn2017 in the next holidays. More connecting, sharing, and learning with likeminded educators. 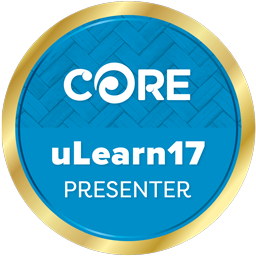 Jemma and I and the #NZreadaloud team are presenting at ULearn2017. Another experience for us and an opportunity to share the power of connected literacy. Can’t wait! Through a Twitter connection with Arnika McPhail (@ArnikaMac) I was approached about presenting our ILE journey at the Energise18 conference in Christchurch next year. Sandra and I will start thinking about our presentation over the rest of the year, ready to put something together in the New Year. Really excited about this opportunity. Sandra and I have also been successful with our Teacher Led Innovation Fund Application. 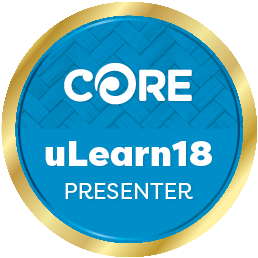 This is a year-long project in which we will inquire into the value/benefit of using Story Hui to map learner achievement through visual narrative. We would like to thank Liz Stevenson (@lizst) and Anne Kenneally (@annekenn) for initially connecting via Twitter and assisting with the application to enable this project to go ahead. More exciting times ahead for us in our Innovative Learning Environment! Flipgrid is a platform I started using back in 2014. Due to technical issues at the time we had trouble getting it to be consistently reliable. However, move ahead 3 years and it is the favourite once again. What an amazing platform for sharing #stuvoice. I love it so much I have become a Flipgrid Ambassador and a Flipgrid Certified Educator. To finish … I can not express enough the power of Twitter. When I reflect on our current opportunities and learning tools they have all come about because I am connected. I have been on Twitter for 3 years now and through this social media platform I have met many like-minded educators, shared learning and ideas, asked many questions for critical discussion, and kept up-to-date with current resources. It is the BEST PD I have had in my teaching career. If we expect our learners to embrace agency – then we should be modelling this and brewing our own PD. I am proud to say – I have found my tribe on Twitter!